How To Install Hortonworks HDP 1.2.0 - How2Hadoop - Learn Hadoop Now! 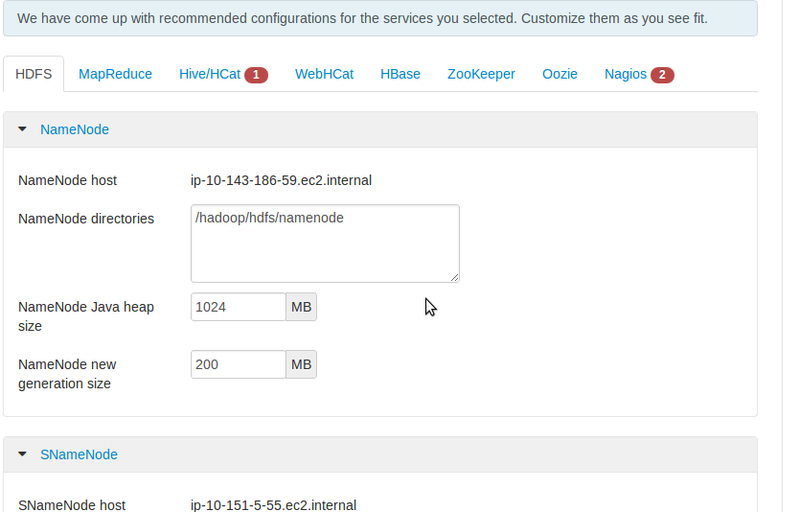 New: setup4hadoop.bash script file automates all of the preparation steps for installing Hadoop on EC2! Download the setup4hadoop.bash to the head node of your cluster and execute with the remaining nodes public address (up to 3) as command line arguments. OS CentOS 6.2 CentOS is widely available and supported across many enterprises. Hortonworks - HDP 1.2.0 Hortonworks is an open-source distribution of Hadoop with open-source management tools staying aligned to and covering the Apache Hadoop software stack. Chosen distribution over pure Apache Hadoop to help better define requirements (OS, tested/supported releases) and ability to quickly deploy (automated installation). Purpose is to quickly deploy a Hadoop cluster for Test & Development. Low-cost, widely available, easily deployed, repeatable infrastructure. 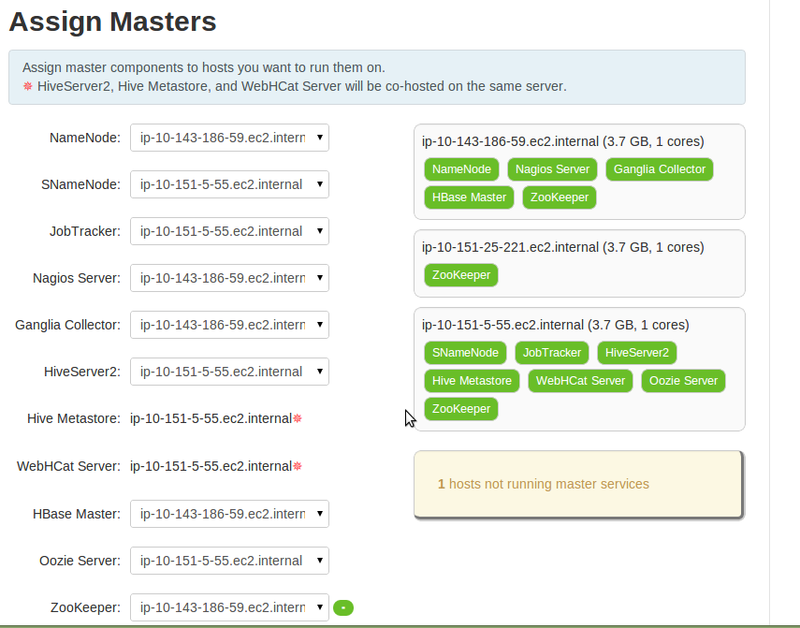 Use medium-to-large size instances if you are going to do anything beyond the Hadoop installation. client machines to execute installation. RHEL/CentOS 6.X Always check forums when installing on the latest supported OS. HDP supports both RHEL/CentOS 5.X & 6.X so if you can go with 5.X do it. I've seen many installs on CentOS 5.7 and 5.8. Software conflicts, old software versions or conflicting software needs to be removed. Before starting installation reboot the nodes! this can bring out some errors that are not easily seen. Hadoop is still in beta format and constantly changing so some of the instructions may change from time to time. Also given that this is not my full time job and I cannot maintain the site as fast as I'd like to, people using this instruction need to be careful. Please use at your own risk and when in doubt, go to the official installation notes at Hortonworks.com. PuttyGen - use with downloaded .pem file to create .ppk file. pscp - putty transfer utility. Used through windows command line. o DON’T FORGET: download .pem file to your local machine when creating a new key pair (hdp-privkey1.pem). · The .pem (private key) file allows your client machine to connect to the running Amazon EC2 instance through SSH. 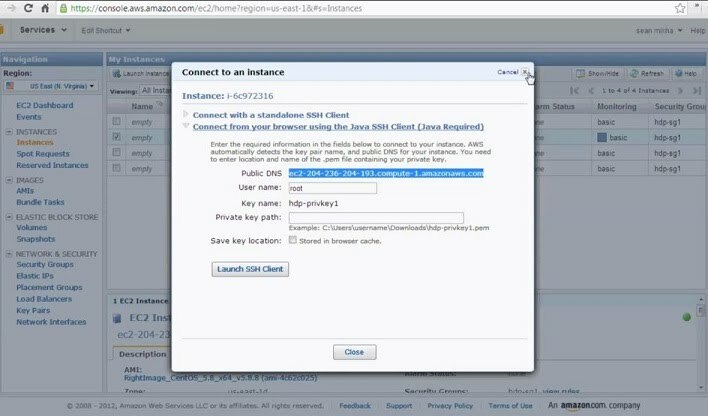 · If you lose the .pem you will need to re-create the instance, Amazon doesn’t store this file because of security reasons. § Navigate and select hdp-privkey1.pem that was created in previous steps. § Open Putty; enter the IP address in the Host Name field. § Click Open to connect to the EC2 instance. Followed steps in last guide "How to Setup EC2"
> you should have 4 running instances dedicated to this installation which was created in the last guide "How to Setup EC2"
> Setting up putty to connect to an EC2 instance is covered in the last guide "How to Setup EC2"
# echo -e "`hostname -i`\t`hostname -f`\th1"
> print to stdout the IP address, Private address, h1 (host alias) using echo with special character '\t' to delimet the values with a tab character. # echo -e "`hostname -i`\t`hostname -f`\tn1"
> Let's make sure we have the standard CentOS mirrorlist of repositories for yum to pull from. We are going to want to install pdsh so lets grab the AMBARI repo as well. > List the yum repository definition directory to verify the CentOS and HDP repository definition file on each node. You have now setup the nodes and are ready to start installing the software for Hadoop! Followed steps in last 2 guides "Setting Up EC2" & "Setting Up Linux"
> Here we will check the nodes in the cluster for any pre-installed software that may conflict with our Hadoop installation. # pdsh -a "yum erase -y ruby* rrdtool* epel*"
> Check the ntp daemon status. Should come back with unrecognized errors signifying ntp is not installed. # pdsh -a "yum install -y ntp"
> Configure startup settings of what services should run on startup. Configure ntp to start on startup. Configure iptables and ip6tables firewalls to be stopped at startup. # pdsh -a "chkconfig ntpd on ; chkconfig iptables off"
> Reboot all the nodes in the cluster. This will make sure all settings take affect, and many times is a best practice before starting to flush out any issues that may be present. > Check above command across all other nodes in the cluster. > We will install the Ambari software on the head node to prepare the node cluster for the Hadoop installation. # pdsh -a "yum install -y epel-release"
> Install the epel repository on the nodes. This gives access to dependent software necessary for the HMC installation. > This will start the Ambari service and download any JAVA dependencies. In this section make sure to include the private fully qualified address for each node in the cluster (remember # hostname -f) and the private key file (.pem) being used. 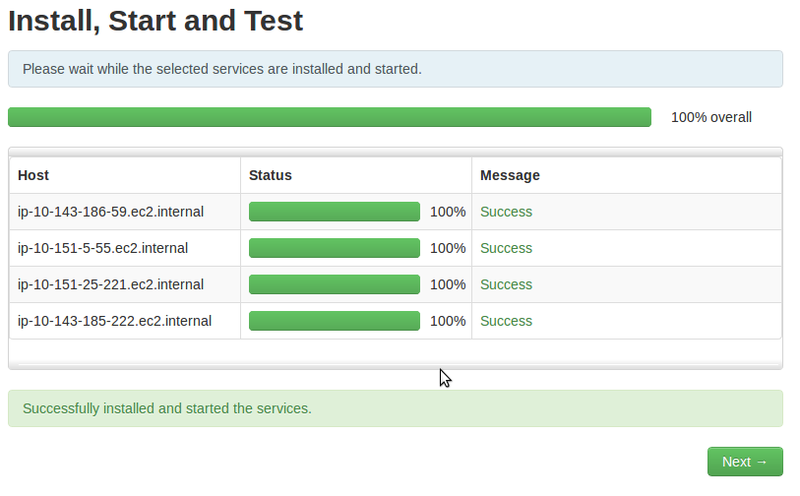 You have now created and installed a 4 Node Hadoop cluster. Congratulations !